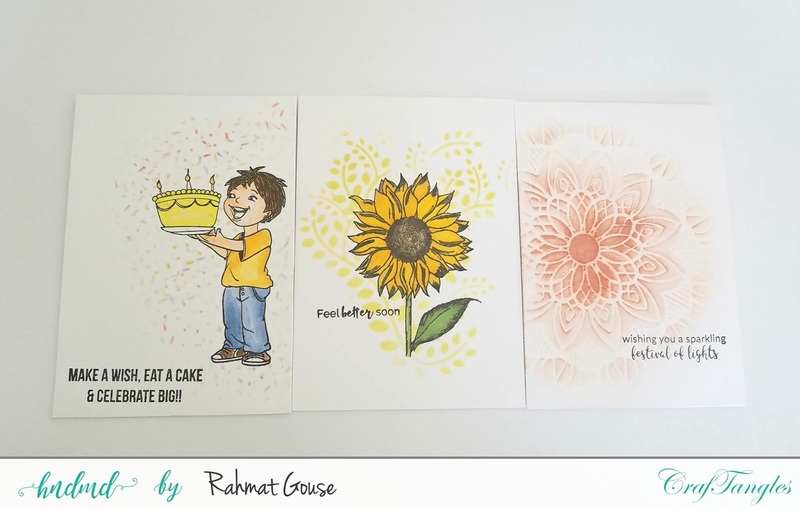 Hey all Rahmat here, I am here with a trio of one layers for all occasions, using CrafTangles stamps and Stencils in focus. 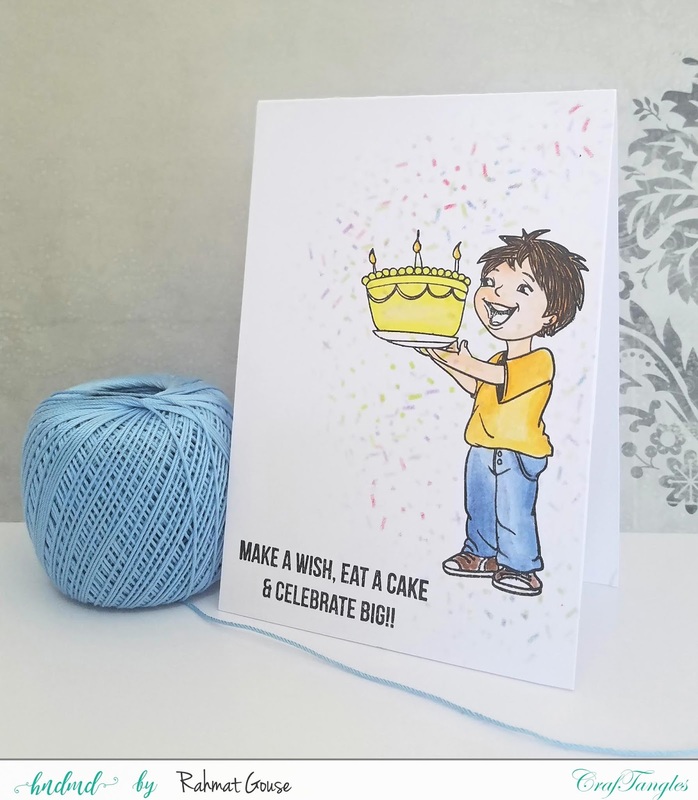 The first card is made using the birthday boy stamp, and confetti stencil. I stamped the image in black and water colored using Staedtler Marspgraphic markers. The stencil is focused only around the boy to give a minimalist look to the design, and it goes well with the birthday theme. I stamped the sunflower in black and colored with markers. I used the wavy leaves stencil in twisted citron distress oxide. Stamped the sentiment from the same set - Everyday sentiments. 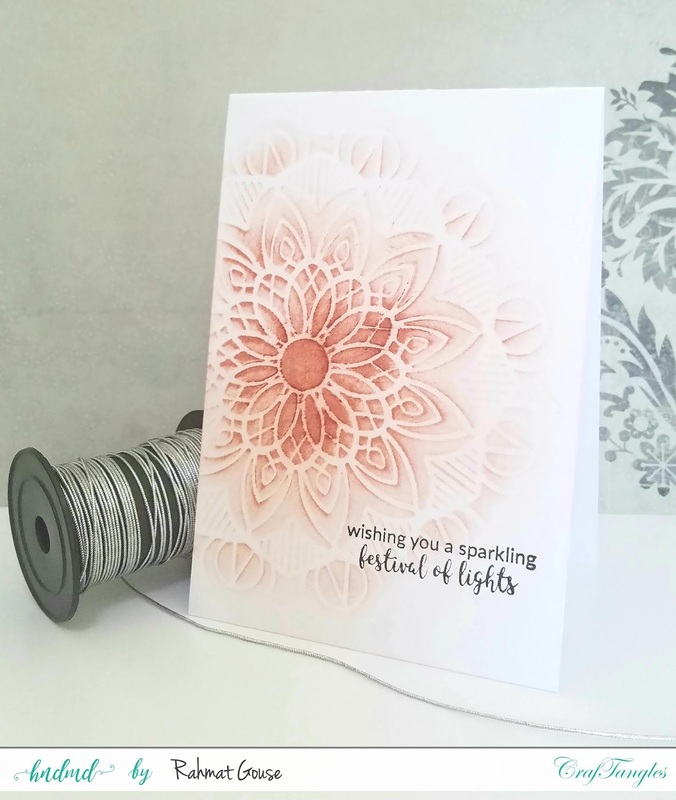 The last card is made using a lace stencil, I simply applied the art wax using a stencil brush, fading out as the lace design progressed, the sentiment is from Diwali greetings. 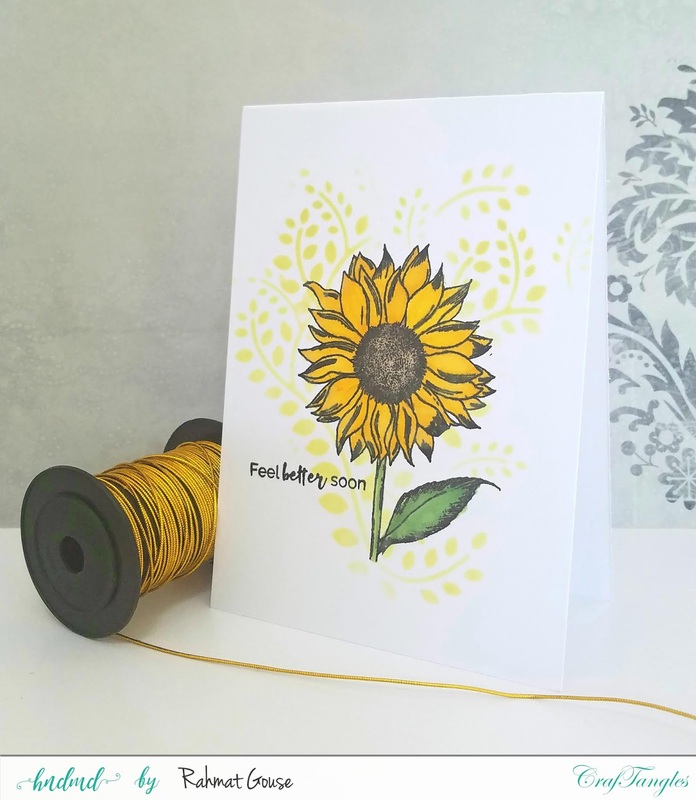 Art wax can be used on card stock. I gave it a day to dry well, and then I used a soft face tissue to wipe the card to remove any residue of the art wax. I hope I have provided some One layer inspirations to you all.